We Got The Vamps To Arm-Wrestle One Another. Place Your Bets NOW! 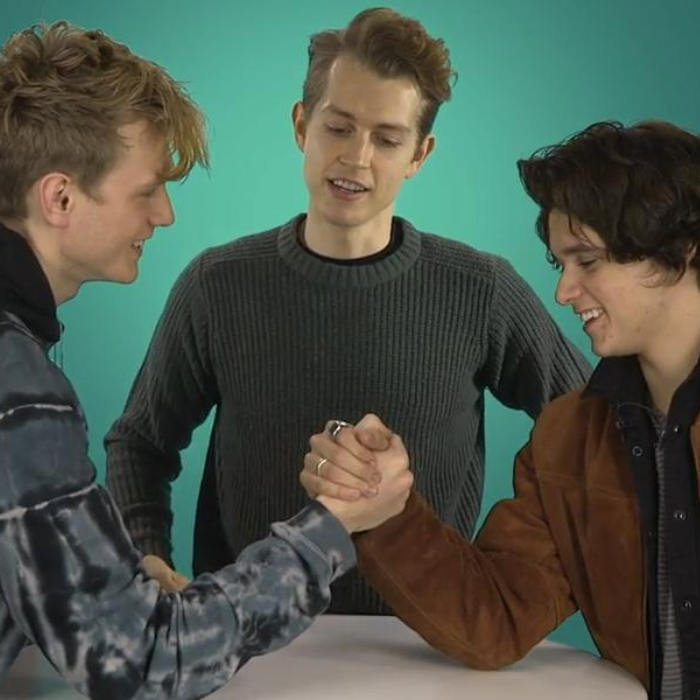 Ever wondered who would win in an arm wrestle between Brad, Tristan and James? Its time to find out. At some point in our lives we've ALL challenged our mates to an arm wrestle or two so it was only a matter of time before we got the Vamps lads to take on one another in an epic battle of strength. Of course it wouldn't be the same without the loser having to eat something insanely disgusting if they lost...that's how normal arm wrestles go right? The Vamps are set to star in the brand new animated movie 'Kung Fu Panda 3'.